The 162-acre Hardman Farm is located along the Chattahoochee River just south of Helen, Georgia. The property lets visitors explore an intact version of a working farm built in the late 1800s. The beautiful Italianate farmhouse and 19 historic outbuildings contain much of the original furnishings. In 1903, Dr. Lamartine G. Hardman, a two-term Georgia governor, purchased the property and it has remained in his family ever since. He greatly expanded the acreage of the property and developed a year-round, working farm. Hardman family members approached The Georgia Trust and The Trust for Public Land with the proposal to donate the property so that it could be conserved and protected from the development. 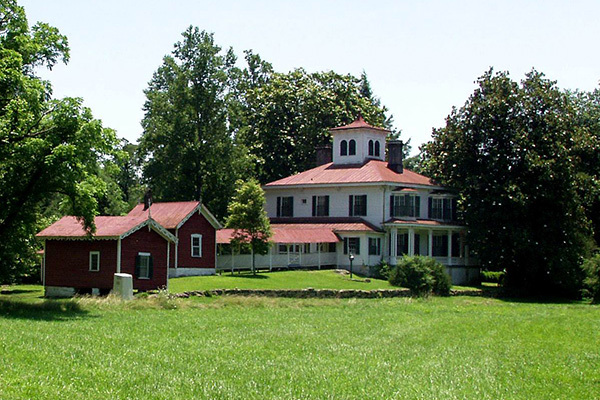 In 2002, we transferred the property to the Georgia Department of Natural Resources for restoration and preservation of this 170-acre farm as a living history center.